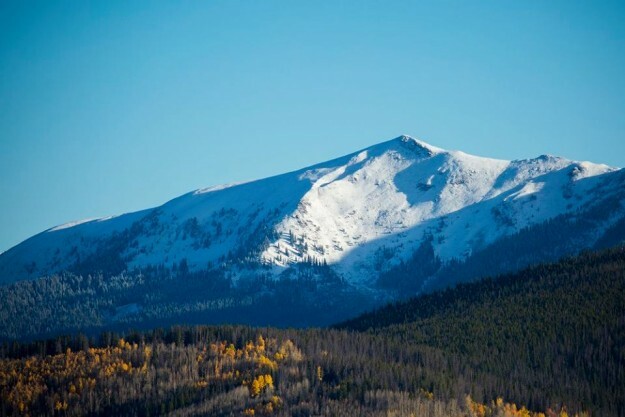 The first new snow of the 2015-16 ski season hit the high peaks around Vail earlier this week, although it wasn’t much more than a dusting in Colorado’s central and northern Rockies. Still, it gets the blood pumping for what could be a big El Niño winter. One NASA climatologist called the looming El Niño pattern in the Pacific Ocean west of South America “too big to fail” in terms of delivering above-average precipitation this winter to California and the American Southwest, which could include Colorado. So does that mean you should run out and grab a season ski pass based on those predictions? Well, maybe that shouldn’t be your sole motivation. But if you want to get the Vail Resorts Epic Pass at the lowest possible price, you should do so before the price-guarantee deadline expires on Sunday, Oct. 11. Now, if you want more on long-range forecasting and the potential of this season’s El Niño pattern, you have to check out Opensnow.com meteorologist Joel Gratz at the Walking Mountains Science Center in Avon at 6:30 p.m. on Wednesday, Oct. 14. Gratz will go “Behind the Weather” for what promises to be an informative and fascinating talk. Short-term, Gratz isn’t seeing a lot to get excited about in Colorado’s early-season weather future: “As I mentioned, this cut-off storm might bring some showers back to Colorado later next week, but there’s really nothing that interesting on the horizon for the next 10-15 days,” Gratz wrote on Thursday. That’s not particularly good news for snowmaking crews at ski areas like Loveland, Arapahoe Basin and Copper Mountain, which typically are among the first to open in the nation each season. A-Basin has won the race by opening on Oct. 17 the last couple of seasons, but that streak could be in jeopardy given the mild and warm forecast for the next week or so. Neither Loveland nor A-Basin had started snowmaking operations as of mid-week. Copper did start laying down some base on Oct. 4 with an eye toward getting the U.S. Ski Team Speed Center up and running for the First Tracks: U.S. Ski Team Naming presentation on opening day (Nov. 6). Vail and Beaver Creek don’t open until Nov. 20 and Nov. 25 respectively. As for the World Cup ski-racing circuit, it kicks off a little over two weeks from now in Soelden, Austria – a race Vail’s Lindsey Vonn says she’ll participate in despite an ankle injury in off-season training. The women will be closer to home in Aspen Nov. 28-29, and the men once again take on Beaver Creek’s Birds of Prey course Dec. 1-6. Outgoing Ski and Snowboard Club Vail Executive Director Aldo Radamus has a really interesting take in the latest issue of Ski Racing on ways to save the World Cup – a circuit I’ve argued for years needs a significant overhaul to capture more U.S. market share. His ideas that I like the most include dual-format racing like the old U.S. Pro Tour, and incorporating ski cross on the circuit. The mass start is something former Vail owner and pro-sports guru George Gillett suggested years ago to generate more U.S. fan interest. But the International Ski Federation is about as likely to institute any of these reforms as Congress is to pass universal background checks for gun ownership in the United States. In other words, it’s not happening any time soon.